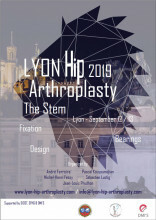 Lyon Hip Arthroplasty 2017 provided the opportunity to consolidate current knowledge on hip instability and the dual mobility acetabular implant. Nearly 400 professionals, including many specialists from abroad, came together in Lyon, the regional capital for scientific and industrial orthopaedics. The 2019 edition will focus on the femoral stem, from its design to its fixation, from surgical technique to long-term results. It seems that everything has already been said about the femoral stem. However, there is still much to be explored, and this is evident from the current development of short stems and new cementless fixation methods. Bringing together the public and private sectors (Michel Henry Fessy and Sébastien Lustig, André Ferreira and Jean-Louis Prudhon), it has been organised using a tried and tested formula since the Charnley symposia that involves industrial partners in the success of the project and allows them to participate in dedicated sessions. 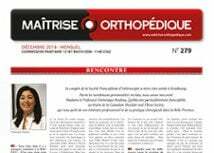 New innovations and an eco-responsible commitment will confirm the proposals from the 2017 edition: a dynamic conference, the renewal of the discipline’s standards, and a warm welcome to prestigious foreign speakers and the best French specialists in total hip replacement. To ensure that Lyon remains the leader in French orthopaedics and that consolidating knowledge is not only the result of regulations or policies, come and join us to work, share your experiences and develop our knowledge. LHA is happening again. The success of THR is enduring. The femoral stem is the pivot point! Do not miss the opportunity to join us to take up this new challenge!